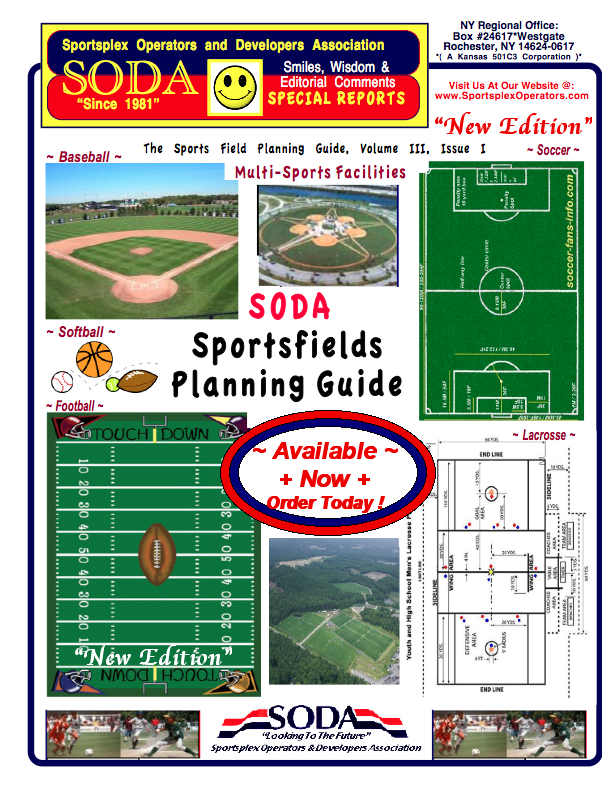 Beacon Ballfields Exclusive Field Tips ! What’s just around the corner? Fall renovations. With fall sports getting ready to ramp up in the coming weeks and summer baseball/softball season winding down, it’s wise to finalize your fall renovations NOW. Too many people in our industry wait until the last minute, scrambling at the eleventh hour to try and pull a project together. Now, they may be successful at pulling that off but it surely can’t happen without some stress for the manager and his/ her crew. Refine the edges of your turf grass. Heavy-duty steel frame with oak handle. Extra sharp steel blade. 6″ or 12″ blade. Exclusive Infield Edger: use edge10 during checkout (offer valid thru Sept. 4). This is not your father’s tamp. No more swollen hands and aching back. It’s the classic groundskeeper’s tamp, reinvented. Interchangeable tamp heads give you up to 4 tamps in 1. Exclusive SweetSpot Field Tamp System: use sweet10 during checkout (offer valid thru Sept. 4). Dedicated staff keeps Fountain Valley Sports Park on the ball ! When I was 10 years old, I was the starting pitcher for the Phillies, a Lynwood City Parks and Recreation “10-inch” baseball team. My dad was the assistant coach. Destined for the National Baseball Hall of Fame because of my array of pitches (a fastball and a not-so-fastball), I lived for baseball then. Our games were played on various bumpy, dirt elementary school fields that had a few bleachers and a backstop. But on game day, those fields had magically received chalked foul lines and a chalked batter’s box and might just as well have been Dodger Stadium or Wrigley Field. I would walk onto the field and swear I could hear Vin Scully. I don’t know who prepared the fields, but I will always appreciate them for helping me live out by baseball dream. Fast forward to today in Fountain Valley where the Fountain Valley Sports Park is home to hundreds of Little League, “Fastpitch” softball and adult softball games every week throughout the spring and summer and in some cases year-round. You can thank the city of Fountain Valley Recreation and Community Services Department for making Fountain Valley the envy of many other cities when it comes to recreational baseball – not to mention soccer, basketball, handball and tennis. Here’s what really boggles my mind. 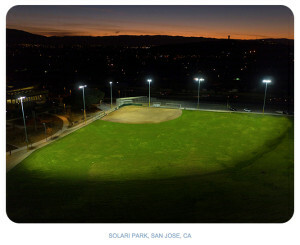 The Sports Park falls under a city department that consists of just six full-time employees – two of whom are responsible for the Senior Center. Who are the six? I’m proud to say all are friends of mine: Community Services Manager Rob Frizzelle, Community Services Supervisors Christy Araiza and Nora Webb, and Recreation Coordinators Scott Baker, Yolanda Markey and Holland McNabb. The rest of the community services staff is comprised of part-time, non-benefited but dedicated and hardworking employees who appreciate the opportunity to work for this city. I wish I could name all of them. This is a staff that, besides coordinating all recreation and community services events year-round, also is responsible for the Concerts in the Park, Movies in the Park, Great Fountain Valley Campout, Easter Egg Hunt, Christmas Tree Lighting and Summerfest. With memories of my youth forever etched in my baseball-size brain, I’m sure there are hundreds, if not thousands of young local athletes who cherish that next game on a baseball field or on the Recreation Center basketball court or soccer field. You know, I love Facebook posts by parents celebrating their children’s games and my adult friends enjoying the camaraderie and good life on the softball field. Oh, and if you’re interested in the rest of my baseball career, I played one more year of uneventful 10-inch, one year of uneventful Little League and one year of very uneventful Pony League baseball (I broke my foot and missed all but two games). And you know what: Winning or losing or getting a hit wasn’t what was important to me. It was knowing my parents and their friends were always in the bleachers, cheering us on and having fun. But most importantly, they were appreciating the city’s understanding that well-maintained parks went a long way in shaping a quality community. If You Are Just Getting Started ! BEACON EXCLUSIVE Weekly Ballfield Tips ! It’s science, not guesswork. The infield skin can provide unlimited frustration for a professional groundskeeper. However, identifying the composition of the infield mix will allow you to predict how an infield skin will perform in less‐than‐ideal weather. Groundskeeper work with one of the top soil testing firms in the country, ensuring your soil test is precise and your analysis is accurate. Soil testing provides quantitative data to help to identify the shortcomings of an infield mix. And with proper analysis, a solution can be found to make sure your infield is as good and playable as it can be. Exclusive Infield Soil Test & Analysis: use test10 during checkout (offer valid thru Aug. 28). The essential tool for a proper mound slope. Includes a heavy-duty aluminum alignment gauge, metal ruler, two support rods, storage container, and instructions. Exclusive Beacon Mound Slope Gauge: use slope10 during checkout (offer valid thru Aug. 28). Kwik Goal Portable Auger Anchors … SAVE $10! — Use for portable outdoor goal installation. Set of 4 auger anchors. Like-new condition – LIMITED QUANTITIES. Kwik Goal Portable Auger Anchors. Check-Out The Updated SODA Site ! Beacon Exclusive Ballfield Tips Of The Week ! Turf inlays address issues with high-wear problem area, like near the pitching mound. They keep maintenance low and things looking great. Exclusive Pitcher’s Mound Trapezoid Turf Inlay: use inlay10 during checkout (offer valid thru Aug. 21). Sift pebbles and debris from your infield with this handy tool featuring a 1/4″ galvanized steel mesh screen. Exclusive Sand Comb™: use comb10 during checkout (offer valid thru Aug. 21). Half Moon Sod Knife … HALF PRICE! — Perfect for cleaning up your turf edge. . Like-new condition – LIMITED QUANTITIES. Half Moon Sod Knife. Beacon’s EXCLUSIVE Tips Of The Week ! CUT IT OUT ! As baseball and softball seasons are winding down around the country, many sports turf managers are contemplating annual fall renovation of their ballfields to prepare them for next spring’s season. Often it means putting the field to bed for the winter ready to play for next spring. Part of that renovation often includes edging the infield skinned turf edges. Beacon’s Paul Zwaska talks about what’s left to the discretion of the groundskeeper and more in this article on Ballfields.com: Cut It Out! Our most durable and longest lasting hose, 1″ ID. Long shank machined brass fittings for professional performance. Exclusive ProFlex Hose 100′: use flex10 during checkout (offer valid thru Aug. 14). All of your batter’s box sizes in one — 3 sizes, 1 template. This batter’s box template is a big time saver and makes sure your batter’s box is always accurately aligned with home plate. Exclusive Triple Play Batter’s Box Template: use triple10 during checkout (offer valid thru Aug. 14). Welcome back Olympic softball ! 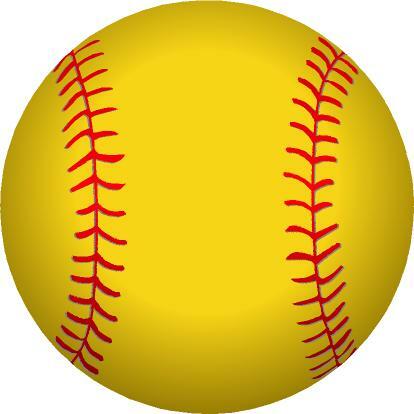 Welcome back softball ! Softball and baseball officially added to Tokyo 2020 Olympic program after historic vote of approval from IOC today ! OKLAHOMA CITY – The hopes and dreams of millions of softball athletes across the globe have been answered today as the International Olympic Committee (IOC) voted today to approve the addition of five new sports to the Tokyo 2020 Olympic Games the Amateur Softball Association (ASA)/USA Softball announced today. The decision, which comes after the IOC met in Rio de Janeiro, was made possible after the groundbreaking Olympic Agenda 2020, which provides flexibility for the future of the Olympic Movement to encourage innovation in the Olympic program. In addition to softball/baseball, other sports that will be added to the Tokyo 2020 Olympic Games are karate, skateboard, sports climbing and surfing. Softball and baseball’s global reach, loyal fan-base and positioning across many of the biggest sports markets, including Japan, offers a unique opportunity to further spread and elevate the Olympic brand. The decision today further highlights the growing global appeal of the two sports, particularly among young people and women. In Japan, softball/baseball have remained atop the landscape and a central part of the culture for more than 70 years. Other factors considered in the sports package include the impact on gender equality, the youth appeal of the sports and the legacy value of adding them to the Tokyo 2020 Games. Softball spent four “quads” as an Olympic sport debuting in the 1996 Atlanta Games with the last Olympic softball competition taking place in Beijing in 2008. Softball and baseball were ousted from the 2012 Olympics following a vote from the IOC in 2005 in which softball, needing a simple majority of votes (53), received 52. Despite its exclusion from the Olympics for the past eight years, international softball has become increasingly competitive as a record 30 nations competed in last month’s 2016 World Baseball Softball Confederation (WBSC) Women’s World Championship in Surrey, B.C., Canada and a record-breaking 12 nations competed at the World Cup of Softball XI in Oklahoma City, Okla. This was also highly showcased during the USA vs Japan All-Star Series in Tokyo and Sendai, Japan, where members of the USA Softball Women’s National Team squared off against Japan in a three-game series. A record-breaking 31,448 fans attended Stage One of the series at the Tokyo Dome, while an additional 3,000 fans attended the final two stages at Shellcom Sendai. This decision comes just 10 days after the USA Softball Women’s National Team claimed their first WBSC Women’s World Championship title since 2010 after defeating Japan 7-3 in the Gold Medal finale. As a team, the U.S. finished the 2016 WBSC Women’s World Championship with a .436 team batting average, 19 home runs, 80 RBI and outscored opponents 83-10. The pitching staff was lights out, allowing just eight earned runs for a 1.19 ERA. For more information on the USA Softball National Teams, visit www.ASAUSASoftball.com. Media Contact: Codi Warren at cwarren@softball.org or 405-425-3431. Founded in 1933, the Amateur Softball Association (ASA)/USA Softball is the National Governing Body of Softball in the United States and a member of the United States Olympic Committee. One of the nation’s largest sports organizations, ASA/USA Softball sanctions competition in every state through a network of 70 local associations and has grown from a few hundred teams in the early days to over 165,000 teams today, representing a membership of more than 2.2 million. ASA/USA is responsible for training, equipping and promoting the six USA Softball National Teams that compete in international and domestic competitions. The USA Softball Women’s National Team is one of only two women’s sports involved in the Olympic movement to capture three consecutive gold medals at the Olympic Games since 1996. The U.S. women have also won 10 World Championship titles as well as claimed eight World Cup of Softball titles. For more information about ASA/USA Softball, please visit http://www.asausasoftball.com/. Headquartered in Lausanne, Switzerland — the Olympic Capital — the World Baseball Softball Confederation (WBSC) is the world governing body for baseball and softball. WBSC has 213 National Federation and Associate Members in 142 countries and territories across Asia, Africa, Americas, Europe and Oceania, which represent a united baseball/softball sports movement that encompasses over 65 million athletes and attracts approximately 150 million fans to stadiums worldwide annually. The WBSC also governs all international competitions involving official National Teams. The WBSC oversees the Softball World Championships (Men, Women, U-19 Men, and U-19 Women), Premier12, World Baseball Classic, and Baseball World Cups (U-12, U-15, U-18, U-23 and Women’s). For further information, please go to www.WBSC.org or follow the WBSC on Twitter at @WBSC. Return of Olympic Softball, Baseball at Tokyo 2020 Games supported by IOC Executive Board ! OKLAHOMA CITY — The World Baseball Softball Confederation (WBSC) and the Amateur Softball Association (ASA)/USA Softball welcomed an announcement today by the International Olympic Committee (IOC) Executive Board to support the inclusion of softball and baseball among a new sports package for the 2020 Olympic Games in Tokyo. Softball and baseball’s global reach, loyal fan-base and positioning across many of the biggest sports markets, including Japan, offers a unique opportunity to further spread and elevate the Olympic brand while connecting with new audiences and more young people, said the WBSC President Riccardo Fraccari. Today’s IOC Executive Board recommendation helps to highlight the growing global appeal and popularity of softball and baseball, particularly among young people. Over the last decade, and with the merger of baseball and softball that established the WBSC in 2013, baseball and softball stakeholders have worked to solidify the gender-balanced global bat-and-ball sport, which now represents 65 million athletes from 213 National Federation and Associate Members in over 140 countries. A final vote on the composition of the sport programme for the Tokyo 2020 Olympic Games will be taken at the IOC Session in Rio de Janeiro in August, and, if approved, would constitute “the most comprehensive evolution of the Olympic programme in modern history,” the IOC stated. Headquartered in the Olympic Capital city of Lausanne, Switzerland, the World Baseball Softball Confederation (WBSC) was established in April 2013 and granted recognition as the sole competent authority in baseball and softball by the International Olympic Committee at the 125th IOC Session in September 2013. The WBSC represents a united baseball/softball sports movement that encompasses over 65 million athletes worldwide and attract approximately 150 million fans annually to stadiums worldwide. The WBSC governs all international competitions involving any of the National Teams of its 141 National Federation members. The WBSC oversees the Softball World Championships (Men, Women, U-19 Men, and U-19 Women), Premier12, World Baseball Classic, and the U-12, U-15, U-18, U-21 and Women’s Baseball World Cups. For further information, please go to www.WBSC.org or follow the WBSC on Twitter at @WBSC. 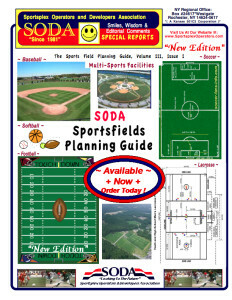 Beacon’s EXCLUSIVE Ballfield Tips ! The 8 Essential Ballfield Tools ! It’s hard to believe but summer is already more than two-thirds complete. How’s your field holding up so far ? Baseball and softball fields across the country are in full swing. We have customers running youth leagues everywhere (as far away as Alaska! ), and these leagues are our most diverse group of customers. And by diverse I mean that every single league is different in how they are managed, how they acquire players, how they fundraise, purchase equipment, select coaches, and how they manage and maintain their playing fields. Managing the fields can be a daunting and difficult task for a board member or league, especially if your field is exclusively managed by coaches and volunteers (besides the occasional drag, chalk, and mow from a local park and rec department). 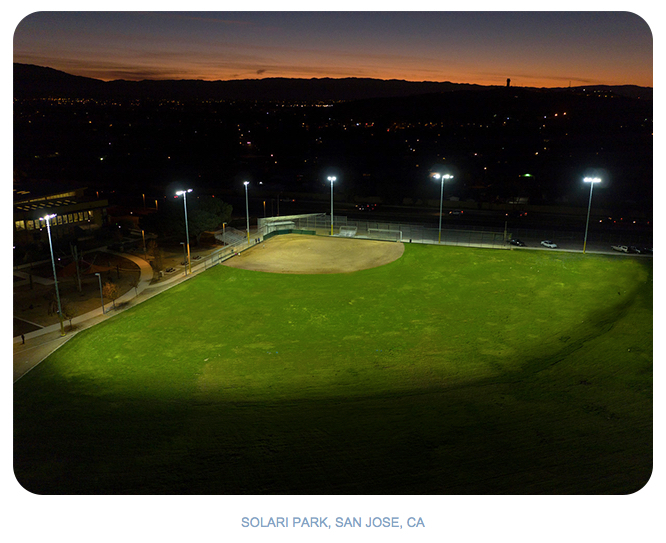 Lots of Park and Rec’s have amazing ballpark facilities that are managed with great care and detail. BUT it’s still the responsibility of the league or coach to maintain the safety and play-ability of the field. Are you one of those guys who keeps a rake and shovel in your trunk ? I’m writing this for you! No one wants to see a 9 year old infielder take a bad hop, especially when you’re trying to teach them the importance of staying down on the ball. These basic tools don’t require gasoline, water or a big budget. Every baseball league and softball league should have these affordable, essential, baseball field maintenance tools in their shed. Every volunteer should know the basics of how to properly use these field maintenance tools. (See our article on 10 Common Groundskeeping Mistakes.) You might even be able to find a few of these taking up space in your own personal tool shed or garage. baseball field rake We all know this one. The field rake is used before and after practice or games to rake out cleat marks and divots, knock down high spots and pull material to low spots (Generally position and sliding areas). * TIP: Always rake down the base line towards the base or home parallel with the edges, never rake towards the infield grass. Raking towards edges will cause lips that affect the roll of the ball and cause a natural dam which in turn will hold water. A push broom or rake should be used fairly often to push out material from your edges. 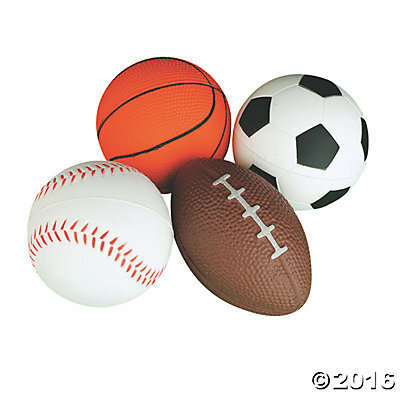 Often times during games material from the field is kicked or tracked into the edges. This comes mostly from 1st and 3rd base players moving into the grass for certain situations. It’s also very common around baselines from runners rounding the bases. A lot of these chunks of material can be picked up by hand and thrown back on the field to rake but the material you can’t see that is slowly building up is what you need to be concerned with. Baseball steel mat dragA hand drag is essential for grooming your field after it is raked out. It helps pull material from those high spots knocked down with the rake and redistribute the material to the low spots. If you have enough time drag the field twice in 2 opposite directions. Preferably ending with the circle drag. Take your time when dragging and avoid getting any closer than 6” from cutouts and edges. Those areas can be manicured more carefully with a broom or level board. If you have an uneven surface grade try and start in the high area of the field and end in the low are where you see the most standing water after a rainfall. Not all nail drags require a lot of storage room or a machine to pull them and we offer a few. Even if you can only nail drag once or twice a week you will see a difference. The nail drag should be used before the mat drag. They have teeth (nails) which allow you to aggressively scarify the surface. It helps tremendously if you can nail drag after the field has received some moisture. Not so much moisture that it sticks to the drag and makes a mess but just enough that you can easily loosen heavily compacted areas without going any deeper than 1”. Complete the nail drag process with level boards or rakes to pull loose material in your low spots and then finish with a nice and slow hand drag. * TIP: Rigid mat drags that do not flex work much better in this situation than non-rigid drags. A good scoop shovel is used to scoop up debris and chunks from the piles swept from the edges, mound and plate. The one shown below has a sifter feature, but any sturdy shovel will do. A tamp is required to pack clay back into batters boxes and the mound after they have been damaged. If your park and rec dept. or the managers of your facility are not repairing these areas you will need to figure out a way to keep these spots safe from holes that form after use. If your league or team does not have the ability to acquire bagged clay, correctly repair the areas and tarp them, we have alternatives. Products like the Beacon porous rubber mats or the Jox Box can be easily installed below grade in these areas to minimize damage and prevent holes. All you have to do is drag your material back over the exposed mats at the end of your game or practice. * TIP: If you’re using clay it’s imperative that you cover these areas with area tarps to help them hold their moisture. If tarping is not an option the clay will harden and chunk out. No one likes a wobbly base. Always make sure to have some digout tools around to clean out your base anchors before you put them down and after they are removed. Make sure to keep plugs on hand for when you drag the field. If you are scared of them going missing toss them in a bag and keep them next to your hand drag. Put someone in charge of managing the volunteers and coaches. Coordinate a field training day where coaches are all required to attend and learn the basics. This will provide your field with some consistent maintenance and achieve a more uniformed play so the players know what to expect. * TIP: Our Groundskeeper University is now a free service that we offer on our website. It’s a great program that teaches the basics of field care and maintenance through online videos and short quizzes between sections.